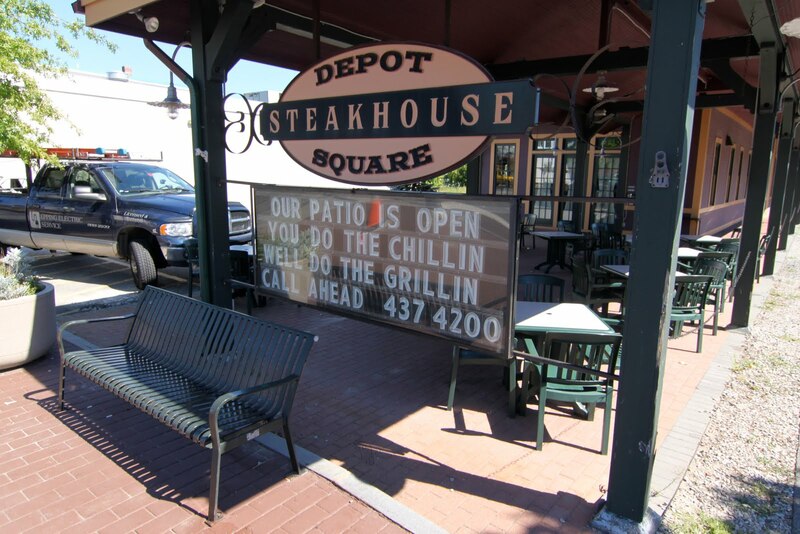 DERRY -- The auction of the former Depot Square Steakhouse property was postponed yesterday for the second time. The property was set for auction at 10 a.m. Thursday but has now been pushed back to 10 a.m. on April 11. The 2,917-square-foot building at 1 E. Broadway in Derry has been vacant since August, when restaurant owners Jane Tureck and Tim Frost abruptly closed their business’ doors. Tureck still operates Janie’s Uncommon Cafe in Londonderry. The building’s mortgage is held by CIT Small Business Lending Corporation, an international bank with headquarters in New York City, according to town records. Attorney George H. Thompson Jr. of Welts, White and Fontaine in Nashua said he has been handling the building’s auction on CIT’s behalf. The property was first set for auction in November, but was at that point pushed back to this month. A sign posted in the restaurant’s window announcing the postponement was dated Wednesday. When asked about the reason for the newest delay, Thompson said he was not able to give much information. James St. Jean Auctioneers in Epping has been charged with facilitating the property’s auction since the beginning, Thompson said, and the company will likely continue in that role. According to online assessors’ records, the 1 E. Broadway property has been assessed at $451,800 and sold for $150,000 in 2004. Derry Planning Assistant Elizabeth Robidoux said that it’s not uncommon for auctions like this to be pushed back several times before a final sale is made. The auction of a former convenience store property at Shute’s Corner in Derry was also postponed several times before it was sold over a year ago, she said.